Consumers today are incredibly smart. So when a company says you’re getting something for free, you know darn well that “free” really isn’t all that free. Nine times out of 10, you’re either a) paying for it through the inflated cost of another service or b) it should be included in the product or service in the first place. I’ll be honest, when it comes to the world of residential dumpster rental, you won’t find the word “free” casually thrown around. There are, however, some added benefits you might not expect from your rental experience. And while we can’t speak for all rental companies, we can speak from experience and on behalf of our Bin There Dump That local franchise operators. When customers call in to arrange a bin rental, they will speak with a local franchise operator — not an automated system. Communication is continued as the rental window draws to a close. You’ll be contacted by your local operator, confirming a convenient pickup time on the last day of the rental. 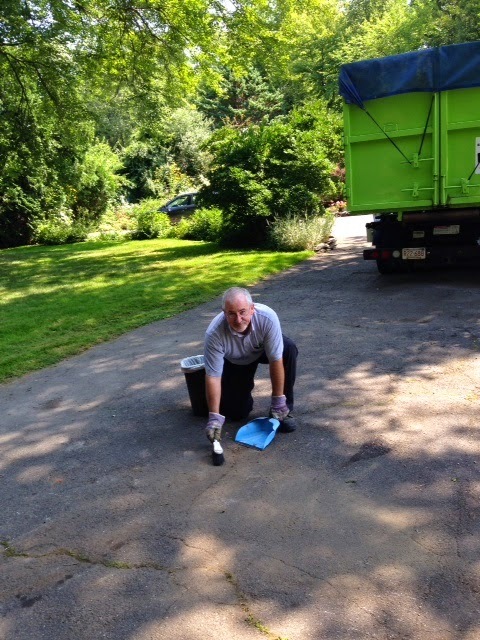 Before the roll-off dumpster even thinks about touching your driveway, the drop-off spot needs a little prep work.. A protective buffer (wooden boards) is always placed beneath the rental. This helps disperse the weight of the bin and keep your driveway scratch- and gouge-free. 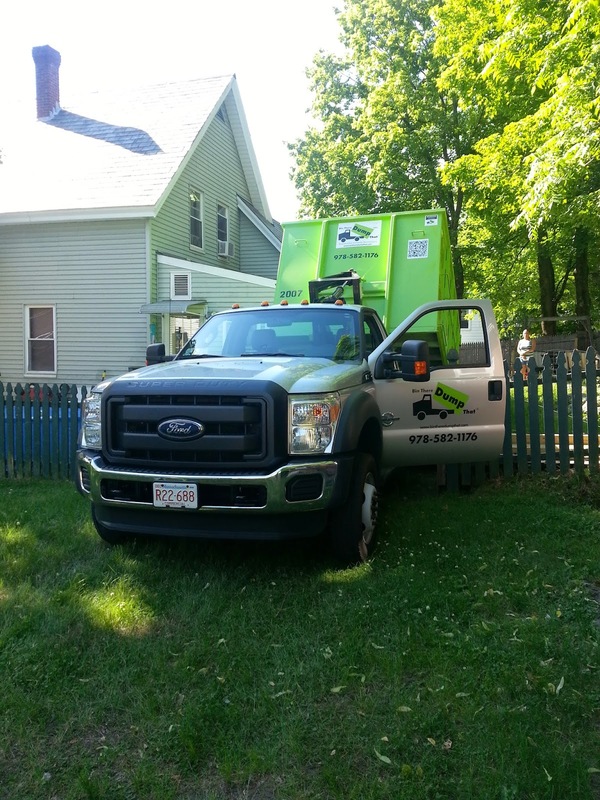 Once your dumpster is filled to capacity and the driver loads it back onto the truck — but before it hits the road and out of your life — the driver will give your driveway a thorough sweep. This helps keep nails, glass shards and scraps of wood from sneaking into your lawn or getting stuck into a tire. The dumpster will also get tarped before it gets hauled away. The last thing you need to worry about is your debris flying out of a departing truck. Our Roll-off dumpsters make walk in loading easy with rear, double-door access. Team that with your dumpster's driveway friendly, fit anywhere design, well, decluttering your home just got a lot easier. 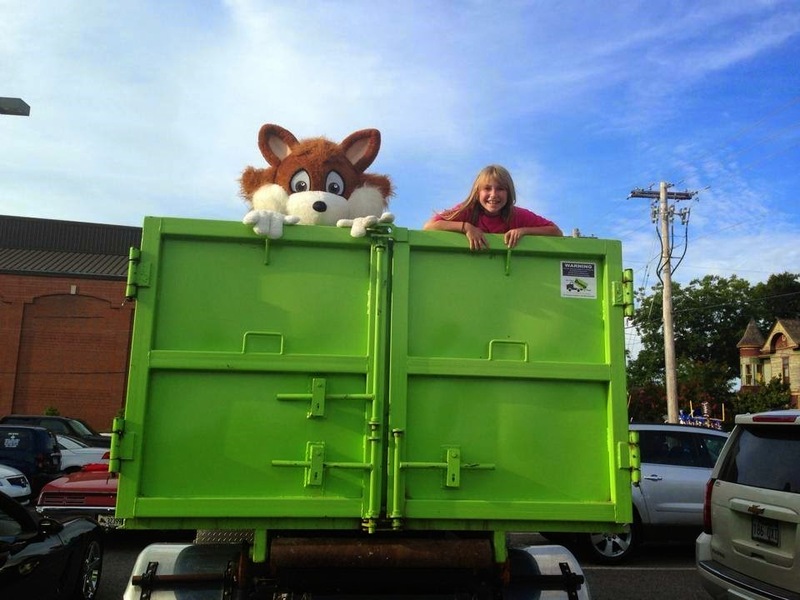 When the time comes to say goodbye to your dumpster, the contents you’ve discarded are taken directly to a transfer station where they are properly RECYCLED. It’s not left in some random, unattended parking lot, at risk of getting sifted through by sketchy individuals. Whether you’re interested in taking control of the clutter in your home or if life as a minimalist is an aspiration, the simple act of renting a dumpster is getting you one step closer to your goal. Our rule of thumb? “When in doubt, toss it out.” And remember, the more clutter you remove from your living quarters, you also greatly reduce household dust, mold, trip hazards and fire hazards. For most rental dumpster bin companies, the bin can stay seated on your property for 5-7 days — unless you need it picked up sooner. Remember, there’s no race. And this time, for once, time is on your side. Bin There Dump That dumpster rentals include 7 full days. By working with a company that is thoroughly insured, you can have some peace of mind knowing that any damage or injury incurred on your property by the rental company is covered. I know I might be a bit biased, but you really do get plenty of bang for your buck, especially knowing that Bin There Dump That has no hidden fees. Though there may be additional rental fees depending on unique requests or renter needs, our franchise operators communicate all potential fees ahead of time — before you sign on the dotted line.